This Case study focus on Prevalence of Autism Across the World. 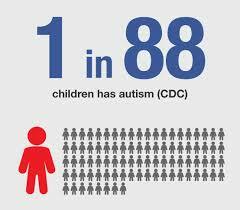 Data associated with the prevalence of autism throughout the world is subject to swift change. As new systems and diagnostic tools come through, cases of autism are usually seen in previously ‘safe’ inhabitants. On a positive observe though, an increase in the quantity of autism diagnoses should allow scientists to analyze more cases to find out its risk factors.